Verizon has agreed to acquire Yahoo for $4.83 billion in an all-cash deal, which will be completed early next year. The telecom giant, which also owns AOL, will bring under its wing all of Yahoo’s search, communications and digital content products, as well as its ad services, which cumulatively reach a global audience of over 1 billion users. The deal doesn’t include Yahoo’s shares in Chinese ecommerce and tech titan Alibaba or its shares in Yahoo Japan. Yahoo will continue to hold these assets under a publicly traded investment with a new name after the transaction is closed. Yahoo will be integrated with AOL under Marni Walden, EVP and President of Verizon’s Product Innovation and New Businesses departments. The sale, reported as being almost certain yesterday, represents one of the biggest downfalls in the history of internet businesses; at its peak in January 2000, Yahoo was valued at $125 billion. Its current price is a pittance compared to the $45 billion Microsoft offered for it in 2008. But the writing has been on the wall for a long time now. In fact, last December, analysts who spoke to The Wall Street Journal estimated that Yahoo’s core business was only worth about $3.9 billion, and it turns out they weren’t too far off the mark. One of the biggest questions surrounding the deal is whether Marissa Mayer, who led the company through numerous acquisitions that have failed to bring in revenue, will continue her stint as CEO; she is staying on, but it isn’t clear in what capacity she will remain at the company. There’s also the matter of Mozilla to deal with. The non-profit organization that’s behind the popular Firefox browser has a contract with Yahoo which includes a clause that entitles the developer to a payout of $1 billion if it doesn’t like the company that purchases the search firm. Still, Verizon believes it’ll find a way to grow its advertising business with its large roster of digital brands. 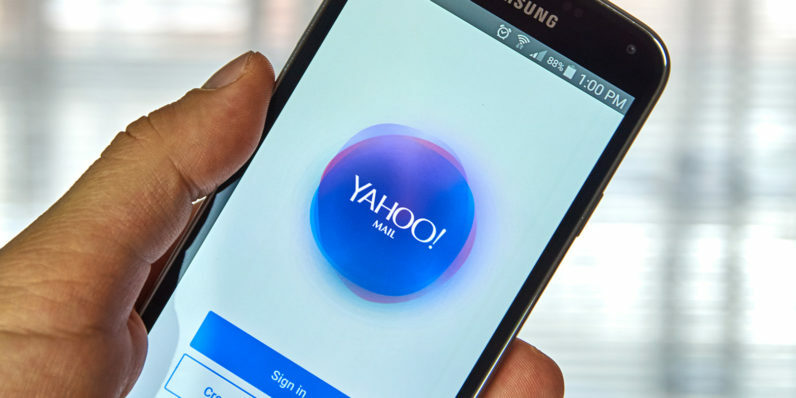 The company will focus on Yahoo’s mobile products from now on, and it’ll be interesting to see if there’s any more money to be made from one of the last remaining internet heavyweights of the 90s.